It was some time before I was brave enough to take Little T out for a walk on the road. He is a confident walker but also has a mind of his own so the thought of him so near passing cars frightened the life out of me. 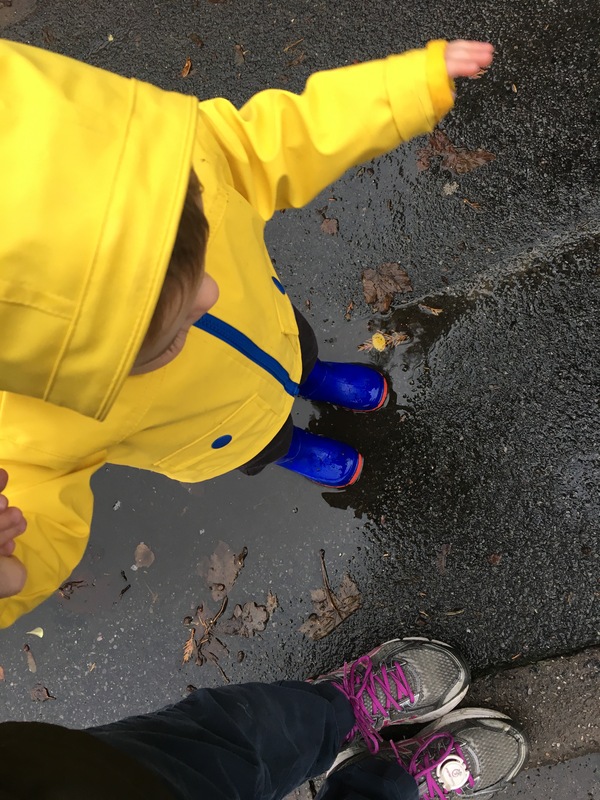 We’ve now been out a few times and today it was so lovely as it was his first time to splash in puddles! 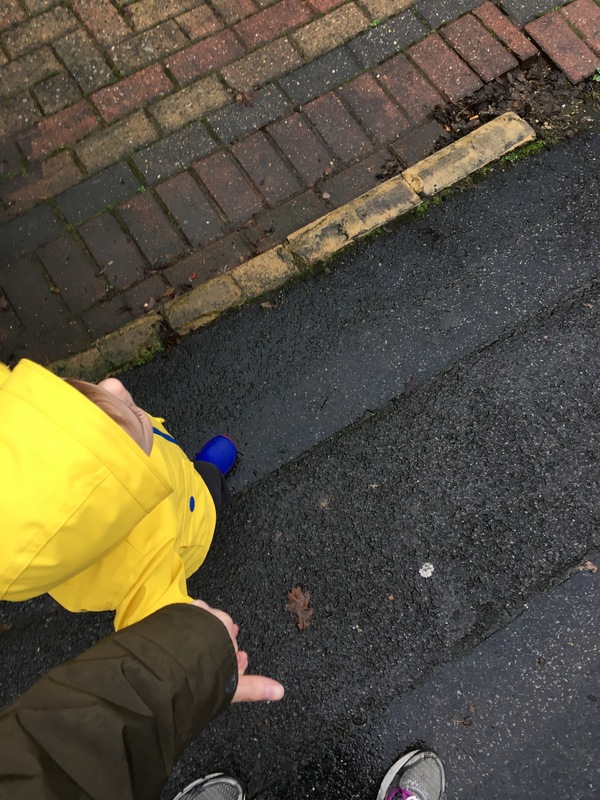 It does take three times as long to make it to the supermarket but he loves it and is learning quickly to hold my hand. So far he has yet to make it all the way home with out asking to be picked up, but I’m sure his stamina will grow quickly.